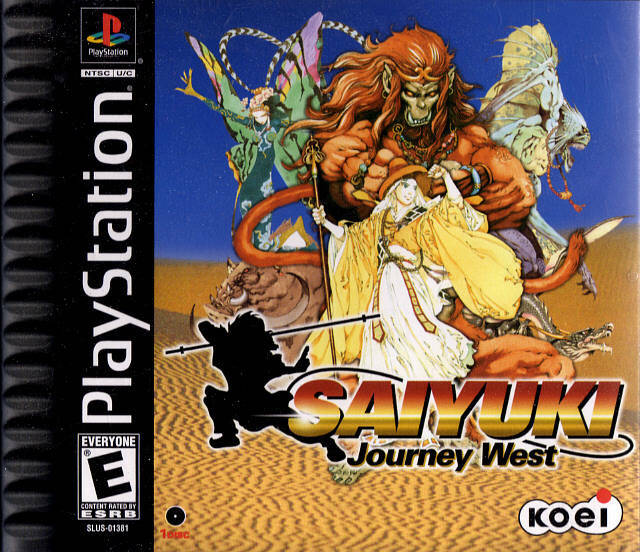 Saiyuki: Journey West is one of the most popular strategy RPGs out there. Prior to its release, it was heavily advertised and marketed to the gaming masses. 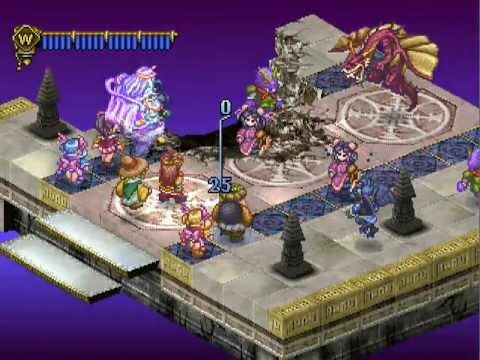 The hype it generated was enough to rival the likes of The Legend of Dragoon and Chrono Cross. I’m joking. Honestly, if not for a family member’s impulse buy, then I wouldn’t have even heard of Saiyuki: Journey West. It’s no surprise. In a world of Final Fantasy Tactics’ and Tactics Ogres, Saiyuki: Journey West seemed to get lost in the shuffle during the PlayStation era. It’s one of the lesser known strategy RPGs out there, which is quite unfortunate. Having gone through it for the first time, I’m hoping that this review will inspire at least one person to try it. Much of it will appear familiar. It’s the little things that Saiyuki offers that help differentiate it from its competition. One of those little things isn’t actually so little. Saiyuki is inspired by the classic Chinese novel Journey to the West. The novel tells the story of a Buddhist monk that travels from China to India in order to obtain sacred texts, and then details his journey back to China. In this video game adaptation, things are slightly different. The star of the show is an orphaned monk named Sanzo. While sweeping the entrance of a temple, Sanzo is visited by Lady Kannon, the goddess of compassion and mercy. Lady Kannon gives Sanzo a magical staff and requests that Sanzo to travel to India. She doesn’t say much more than that, but Sanzo is inspired and up to the task. This will be the first time Sanzo ever ventured outside the temple grounds. And, what better way to do so than a cross continental journey from China to India? The Chinese novel serves well as a foundation for this game. Sanzo’s journey is different from the usual swords and sorcery, politics and intrigue type of adventure usually seen in the genre. Sanzo has a big heart and open personality; a perfect combination for a leading character on a sojourn of this capacity. That same openness attracts a nicely sized cast of characters such as the legendary monkey warrior Son Goku and the adorable dragon princess Shu Ryorin. Sanzo’s team forms a bond through the journey that feels fully realized; their chemistry is great. I always liked it when strategy RPGs opted for actual characters instead of generic units. In Saiyuki, these characters are part of what make the game so special. Saiyuki is a classically styled and classically inspired strategy RPG. On the world map, you move Sanzo and the party from location to location. In most cases, arriving to a new location will initiate a new story battle. After the battle ends, you head back to the world map and the journey continues. All towns have a chemist that can sell you potions and a dojo where you can train your team. Dojos are great because you can use whichever party you want and go all out without fear of a game over. You don’t gain any extra money from the battle, but the extra experience makes up for it. If you finish the Master Level in a dojo, then you earn a license. Earning a license from all dojos is worth the effort. Some towns have shops that sell new gear and new spell scrolls. Keeping your party up to date with the best stuff is expensive. Luckily, the posts in town let you take on delivery tasks for a hefty profit. A non-canon battle may occur when you’re in the middle of your delivery, but it just adds to your funds. Saiyuki flows at a nice pace. None of the story battles feels like filler, and the extras from the dojos and posts offer quick distractions with great rewards. Most of your time will be spent in battle. Battles in Saiyuki are like a comfy, vintage sweater. It’s something you’ve worn before, but it just feels right. You start by selecting Sanzo and up to five other characters. Then, you move them across an isometric battlefield. You’ve probably done this. You’ve probably done a few other things before such as attacking enemies from the sides or behind for extra damage. Or, casting magic with your equipped spell scrolls. Or, remembering to protect the main character (Sanzo) from getting killed so you don’t get a game over. Or, getting your experience points to 100 in order to achieve a level up. That’s all here, and it works in Saiyuki. However, like I said in the introduction, it’s the little things that can make something stand out. First, let’s look at Sanzo. Sanzo has the ability to summon Guardians. With a Guardian summoned, the entire team will benefit from an increased stat and/or recovery every turn. An additional bonus is that a Guardian grants Sanzo access to special magic attacks. As for the rest of the party, they can transform into beasts that look like they came straight from the streets of Rampage. The Great Ape. The Bronze Dragon. The Butterfly Queen. All of these and more are available with each character’s special Were transformation. Only one character can be transformed at a time, and the transformation only lasts as long as you have enough Were Gauge to sustain it. Were attacks not only hit like freight trains, but they’re needed to clear the battlefield of obstacles in order to discover treasure. Battles are a blast. Well…most of the time they’re a blast. My biggest issue with the game play, and the entire game itself, doesn’t happen until the end. To be specific, it doesn’t happen until the very end. Like, right before the epilogue and end credits. Without giving anything away, I’ll just say that the game throws the most brutal of difficulty curves at you. Before that point, Saiyuki’s challenge is fair. If the challenge is too great, a few minutes of equipment upgrading or level building will take care of it. The final battle is just a complete 180 from everything else you get exposed to. Since Saiyuki’s journey is a one-way ticket type of deal, you could potentially screw yourself unless you make extra an extra save file. A classic battle system with enough variety to keep the adventure fresh. The graphics in Saiyuki are inspiring and colorful; a perfect recipe for something that has an oriental setting. The character sprites look like they came from a world created by Yasumi Matsuno, but their accompanying portraits showing various emotions sets Saiyuki apart. Again, it’s the little things. Top the graphics off with some animated sequences, and you’ve got yourself another great looking strategy RPG. The music is fantastic. Every battle theme makes you feel like you’re in the middle of a struggle between East Asian deities. The music is pleasant and catchy when you’re not in battle. No matter the circumstance, the music is enjoyable. Saiyuki: Journey West is a game that can last you as long or as short as you want. A fully prepared player will be able to finish it in about 30 hours. Sadly, the game’s linearity will lock people out of some missable content if they don’t follow a guide. While the game’s secrets seem like good incentive to replay the game, the lack of a New Game Plus may cause those thoughts to disperse. But, Saiyuki is a great adventure for the time it lasts. If you feel like you’ve seen all there is to see in strategy RPGs, then check out Saiyuki: Journey West. It has just enough differences to make it feel like something you haven’t played before. 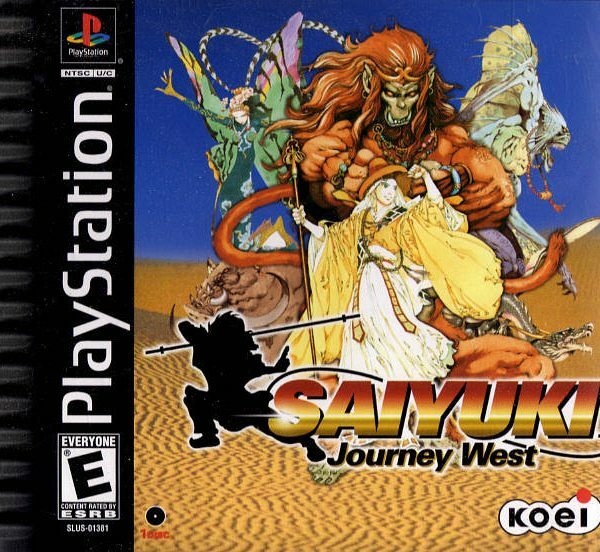 Overall, 8/10 – Saiyuki: Journey West takes a classic novel and adapts it into a fun strategy RPG that feels both familiar and new. Just be sure to keep an extra save file handy for the end.